In 2005, Anne F. Lepis, a graduate of Harvard Law School in 1987, and having worked at the firm for 15 years, became an attorney of the firm. Anne Lepis represents clients in real estate, zoning variances, tenancy, wills and probate, company formations, business sales and purchases. In addition to patiently working with first time home buyers, Lepis Law also represents sellers and builders, persons engaged in development and conversions to condominiums. She represents landlords and tenants in a wide array of legal matters, from the preparation and review of leases to eviction proceedings. When you engage Anne Lepis as your legal advisor, you will not only benefit from her years of experience, but even more you will also have the advantage of her unparalleled level of personal service! Anne Lepis provides clients with regular updates regarding the status of their file, and takes the time to answer questions and deal with issues personally. 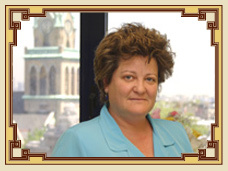 Ms. Lepis understands the nuances of real estate law and treats each client’s project as if it were her own. Because many of the issues are time sensitive, the firm strives to be accessible throughout the process. If Anne Lepis is not available when you call, she will personally return your call. Anne Lepis is committed to providing high-quality and cost-effective legal services in real estate sales in New Jersey and other transactions. Your time is valuable, and she works hard to handle the time-consuming details so that you are free to concentrate your efforts toward the future. 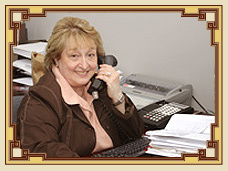 Carol is a professional legal secretary who has been at the firm of James G. Lepis for over 25 years. Her expertise is unparalled and she is recognized by the legal community in Hudson County one of the top legal administrators in the business. At one time, she held the position for many years as president of the legal secretary club of Hudson County. Her intimate knowledge of real estate practice, in both commercial and residential real estate, makes her an invaluable resource to clients who are navigation the process of closing a real estate deal. Carol Lavis spearheads the firm in closing real estate ventures for clients of James G. Lepis, she is committed to making the clients objectives come to fruition. 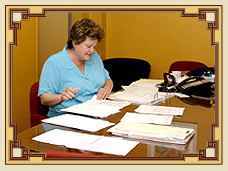 Her legal and notary services for real estate in New Jersey provide the services clients need.